A brand by the parent and for the parents. 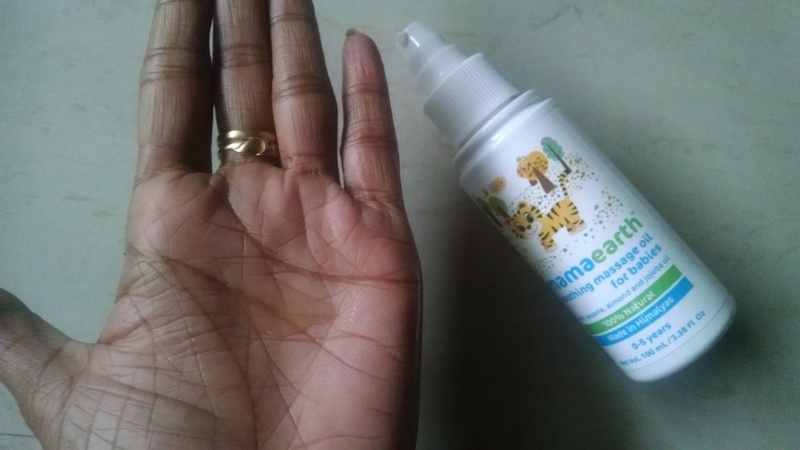 An innovative startup venture by Ms. Ghazal & Mr. Varun which develops products from world class research and attempts to solve every little problem that parents face to find completely safe & certified toxin free products for their kids. With the aim of making products which are mum-baby friendly, toxin-free, meet stringent international standards & are basically ultra awesome, MamaEarth was born. The products packaging is attention-grabber for little ones due to its cute labeling with birds and animal prints. 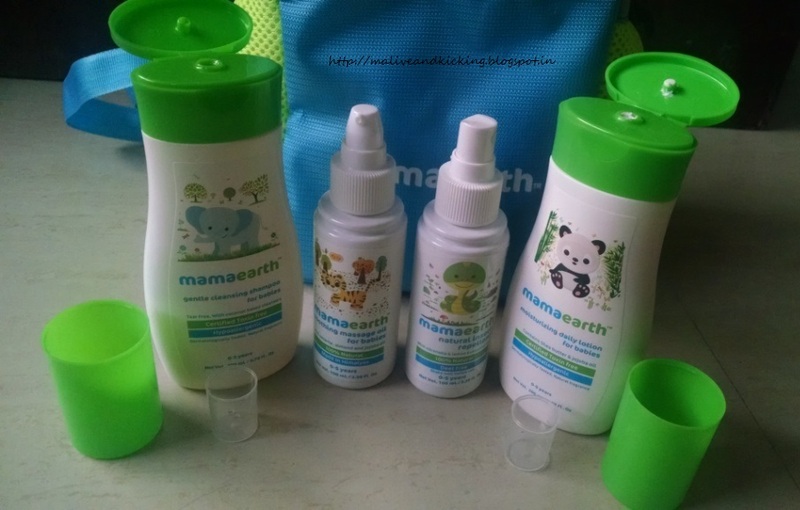 The products' packaging have been kept identical following same color theme of green n white. Though it's good to look at, I wish there be some change for every product for quick identification of particular item. 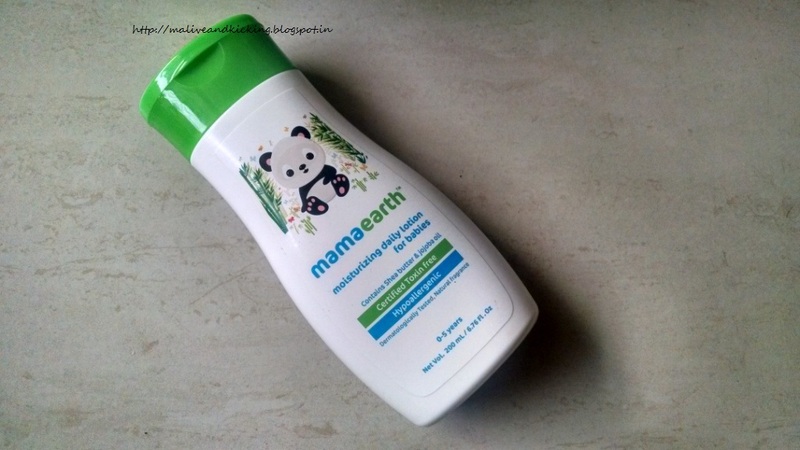 A calming blend of Sesame, Olive, Sweet Almond and Jojoba oil makes the oil gentle on delicate baby skin. This oil packed in a pump dispenser plastic bottle is equally effective to use for pre-bath or post-bath massage of babies. The oil is not extremely heavy or sticky and sinks into skin with light hand strokes over the body. I didn't notice any greasy stains on sheets or clothes. A night-time baby massage with this oil aids him enjoy better sleep after he/she is exhausted of play all the day long. Sesame (Til) oil is well known for healing and immunity booster. So this beautifully smelling natural oil is a good choice. In Indian families, the little ones are usually bathed without using any hard cleansers. 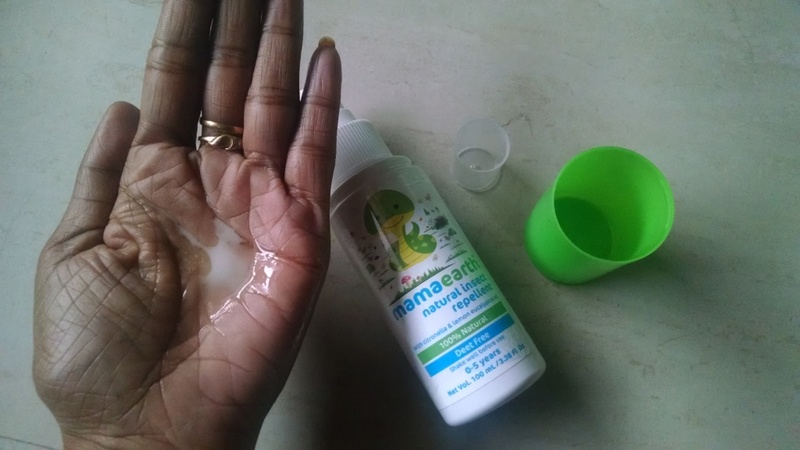 Mama Earth has formulated this gentle cleansing shampoo that is enriched with goodness of Coconut based cleanser and Jojoba Oil to nourish baby's scalp. The shampoo is mildly foaming and doesn't sting baby's eyes. A little quantity is sufficient to clear hair n tender scalp of child. 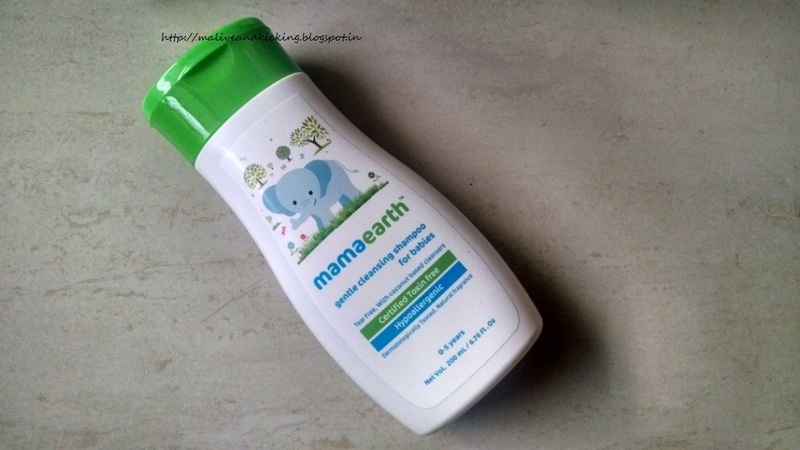 It claims to maintain 5.6 pH level that is best suited for baby skin. Enriched with goodness of Calendula Extracts, Shea and Cocoa Butter for deep nourishing of your baby's skin, the lotion is a must-use product to keep baby's skin soft and supple. The deep moisturizing components of the lotion prevent chafing. 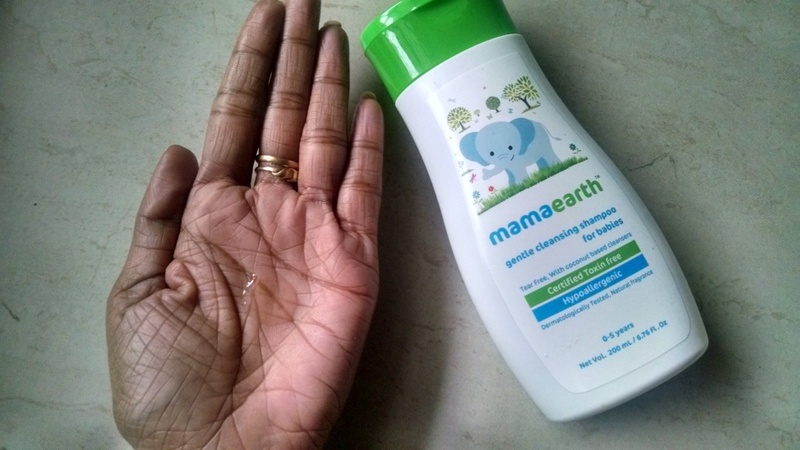 I like that the lotion is not runny in consistency and a layer of moisture relieves the baby from dry, itchy skin for many hours. For me, this lotion makes a efficacious option as go-to diaper cream when you're not carrying a separate one. It has natural blend of essential repellent oils like Citronella, Peppermint and Lemon Eucalyptus with a base of Soya and Castrol oil. 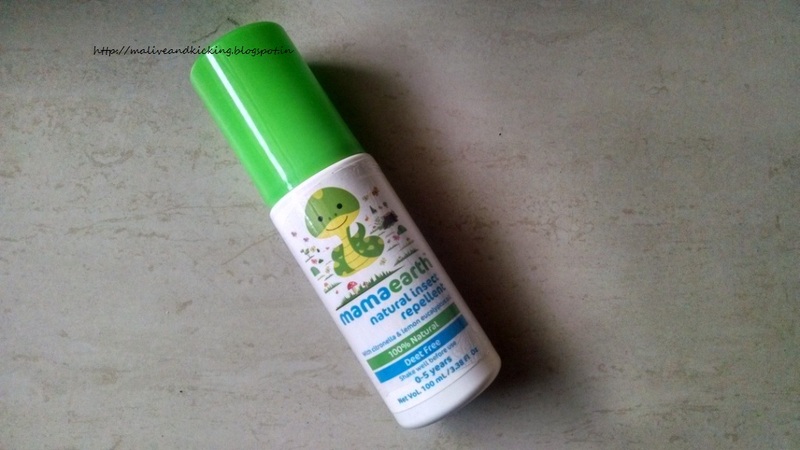 I swear I wanted such a product so desperately because my child is allergic to insect bites. He's been given medical treatment several times when he's stung by any bugs outside. I'm happy to announce that this oil spray has relieved my worries to great extent. Though I feel the product has an overpowering smell for kids, but I think its still better to have a safe deet-free option available. Just spritz enough product evenly on exposed skin while going outside or before sleep. It's recommended not to apply it under clothing, over cuts/wounds/irritated skin. To avoid contact with eyes, I suggest spraying little product on your own hands and pat it on baby's skin. 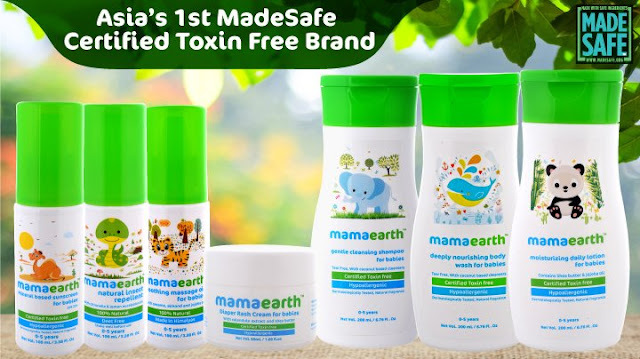 Mama Earth is Asia's Only MadeSafe certified brand. The US based non-profit organization called MadeSafe.Org certifies products to be free of 8K known harmful chemicals in the world. All these products go through strict testing to in QACS Labs in europe to ensure stringent testing standards for skin safety. 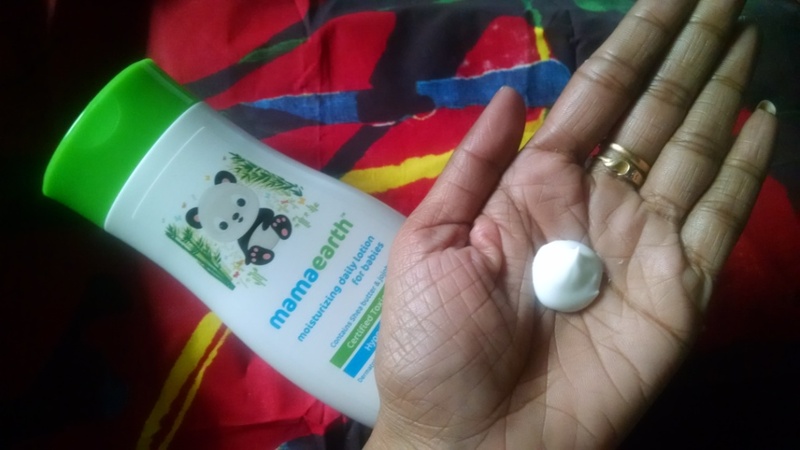 All these products are completely free of known toxins like parabens, pthalates, sulfates, PEG, fragrances, dyes etc & contain only natural ingredients like Calendula, Shea Butter, Cocoa Butter, Aloe Vera etc. This makes our products safe, gentle and non-allergic. What all is available for our little bundle of joy? Any of the product from entire product range can be ordered from Amazon. 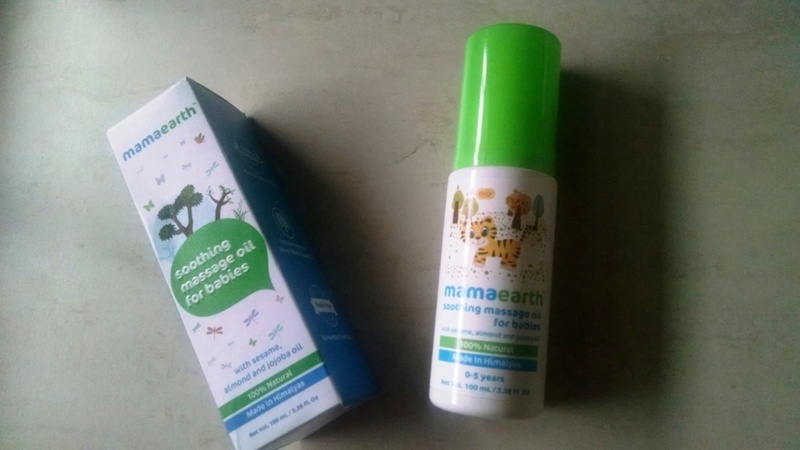 Each of these products is priced at Rs 299 which is bit expensive but worth every penny for the safety of baby's health. 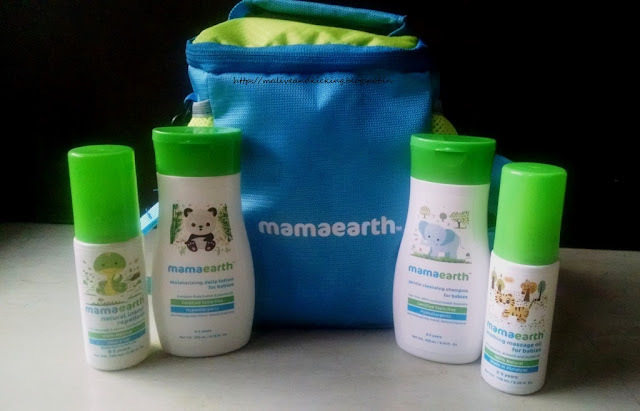 For more info, visit mamaearth.in and gift your child the goodness of nature in form of these skin-safe products. Yeah, a natural bug repellent is badly needed these days when many mosquitoes borne diseases are spreading. Product are actually too good, the insect repellent is mainly water based and non-oily with absolutely runny consistency. They products are too good!